Scharnhorst, 1907. Click to bigup. 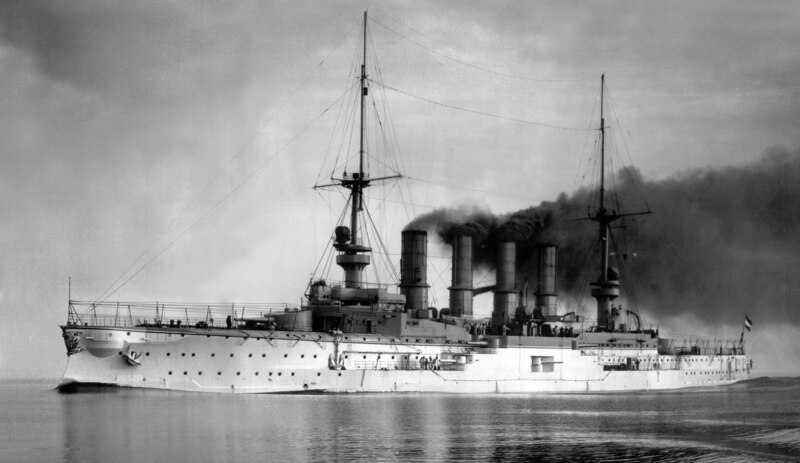 Here we see the armored cruiser SMS Scharnhorst of the Kaiserliche Marine, the Imperial German Navy. The huge cruiser, along with her only sister ship, SMS Gneisenau, was Kaiser Wilhelm II’s muscle in the Pacific Ocean for their brief existence. 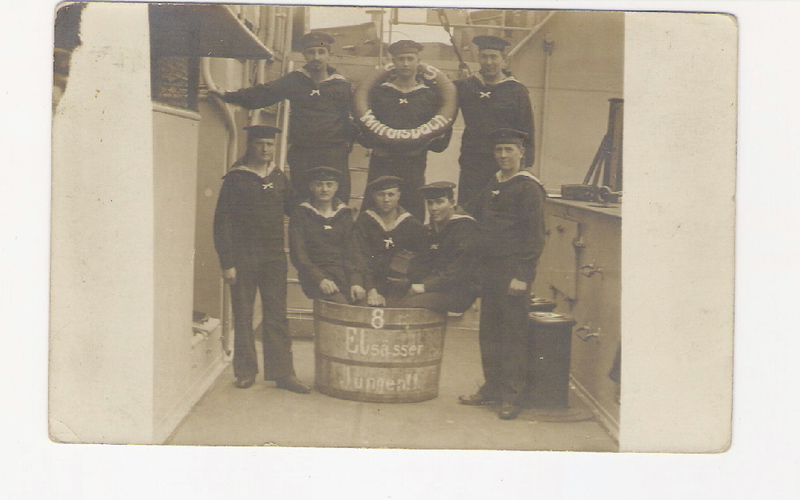 When World War I broke out, it was not uncommon for navies on both sides to commission civilian ships for military use, either as transports or warships. 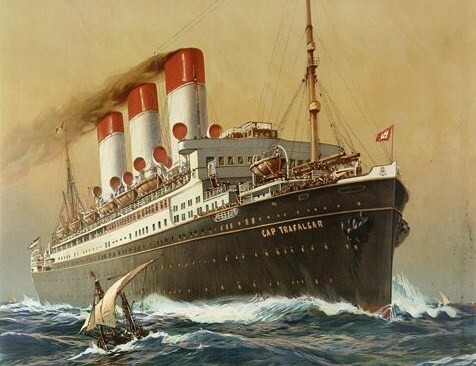 One sneaky move was to arm civilian ships, especially passenger liners, to trick the enemy. Such ships could use the element of surprise to attack an enemy who believes the ship is nothing more than an unarmed civilian vessel. Another SMS Wittelsbach postcard. 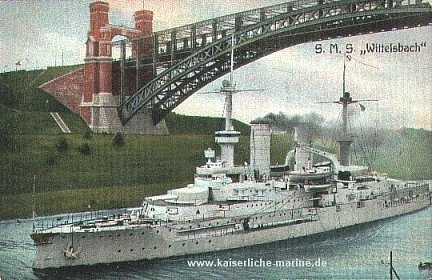 This was the first one I bought and started me on the path of collecting picture postcards of the Kaiserliche Marine specifically and pre-WWI and WWI picture postcards in general.